Willkommen! This site explores, chronicles and celebrates the unitary-construction sedans, coupés, cabriolets, roadsters, and variants built by Daimler-Benz from 1953 to 1962. 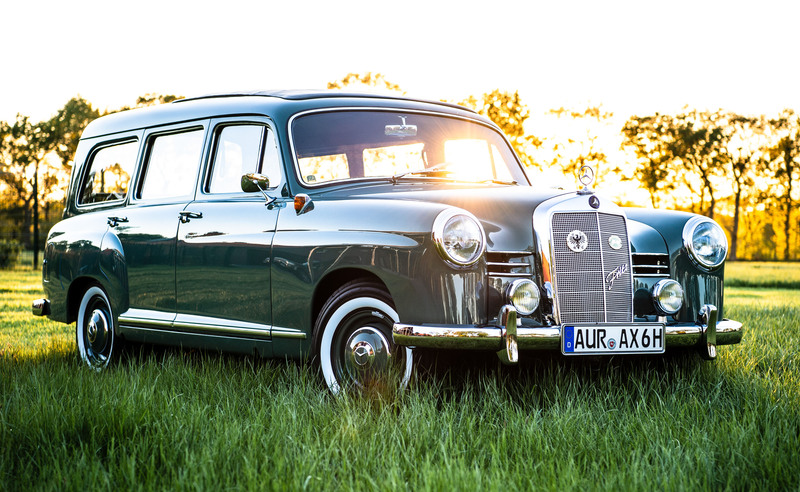 It also serves as a central meeting place where Mercedes-Benz Ponton owners, friends, and associates from around the world can share their knowledge and experiences. Features include: production and technical data, resources for new and used parts and services, discussion forums, technical literature, instruction guides, photographs, and more. Comments, suggestions, and corrections are welcomed. These pages are NOT affiliated with, sponsored by, nor authorized by: Daimler AG and/or its associated companies, Mercedes-Benz USA (MBUSA), or the Mercedes-Benz Club of America (MBCA). The editor assumes NO LIABILITY based on information contained herein. No part may be published or reproduced without explicit permission from the editor.